Question: Mark, I read with great interest your “Home Building Contractor Checklist” article as my husband and I are in the process of starting a home building project and about to sign a contract for same. Thanks to you and your home building checklist article, my husband and I were able to be more educated with what a home building contract should include. I am thankful that I am a “saver” because your article became part of our building file and, therefore, I had your contact info available for a question that has arisen. Hoping you can offer comments. Our building contract includes “Allotments” for different items in the building process, i.e. kitchen/bath cabinets and counters, flooring, light fixtures, etc. We understand clearly that if we go over the allotment amount, we are responsible for payment of any additional dollars spent. However, my question is, if we do not meet the allotment amount and spend less, what is supposed to happen to the balance remaining? Our builder informs us that any unused allotment goes back to him and his working capital and does not get credited to us or used for any other purchase we may require. This was not spelled out in the building contract and we assumed that if we did not spend the entire allotment there would be a credit back to us or the funds could be used elsewhere in the project. The contract verbiage only discusses our responsibility should we spend over the allotment amount. What is the standard procedure in this regard? If you could address this question, we would be most grateful. Answer: N.U., What your building contractor is doing is very common. Builders I’ve worked with in the past typically use the word “allowance” in their contracts for describing monies set aside for the homeowner to select various building materials such as cabinetry, flooring, and lighting products. The word “allotment”, or home building contractor allowances, effectively means the contractor has allowed in his budget for you the homeowner to spend up to X amount of dollars on carpeting, lighting, etc. 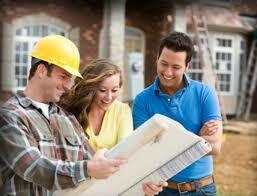 Usually the contractor specifies a certain amount of money for each allowance type. If you end up spending more than the home building contractor allowance, you owe him. If you spend less than the contractor allowance provided for, then he saved a few dollars. Again, this is a very common practice with home building contractors. This said, from my personal experience, home building contractor allowances are typically minimal and allow you to only afford the bottom of the line “builder grade” material. Also, the contractor allowance language in a building contract often says the homeowner needs to spend the home building contractor allowance at a specific building materials store, where it just so happens the builder gets a discount. Consequently almost always the homeowner ends up spending more than the contractor allowance provided. 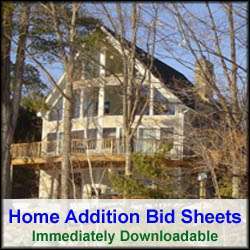 For more help on either hiring a general contractor or acting as your own general contractor, see HomeAdditionPlus.com’s Home Addition Bid Sheets. Our Home Addition Bid Sheets provide you with the knowledge and information on how to plan a home building project, and what to look for when hiring contractors. They also include detailed cost breakdown tables and spreadsheets for estimating your own new home construction building costs.